Taking of the Warsaw Arsenal. Painting by Marcin Zaleski. After the Partitions of Poland, Poland ceased to exist as an independent political entity at the end of 1795. However, the Napoleonic Wars and Polish participation in the wars against Russia and Austria resulted in the creation of the Duchy of Warsaw in 1807. The Congress of Vienna brought that state's existence to an end in 1815, and essentially solidified the long-term division of Poland among Russia, Prussia and the Habsburg Empire. The Austrian Empire annexed territories in the South, Prussia took control over the semi-autonomous Grand Duchy of Poznań in the West, and Russia assumed hegemony over the semi-autonomous so-called Congress Kingdom. Initially, the Russian-formed Congress Kingdom enjoyed a relatively large amount of internal autonomy and was only indirectly subject to imperial control, having its own constitution of the Kingdom of Poland. United with Russia through a personal union with the Tsar as King of Poland, the province could elect its own parliament (the Sejm) and government. The kingdom had its own courts, army and treasury. Over time, however, the freedoms granted to the Kingdom were gradually taken back and the constitution was progressively ignored by the Russian authorities. Alexander I of Russia never formally crowned himself as King of Poland. Instead, in 1815, he appointed Grand Duke Constantine Pavlovich as de facto viceroy, disregarding the constitution. Flag of the November Uprising that carried the motto "For our freedom and yours"
Soon after the Congress of Vienna resolutions were signed, Russia ceased to respect them. In 1819 Alexander I abandoned liberty of the press in Congress Kingdom and introduced censorship. Russian secret police commanded by Nikolay Nikolayevich Novosiltsev started infiltration and persecution of Polish clandestine organizations, and in 1821 the Tsar ordered the abolition of freemasonry. As a result, after 1825 sessions of Polish Sejm were conducted in secret. Nicholas I of Russia formally crowned himself as King of Poland on 24 May 1829 in Warsaw. Despite numerous protests by various Polish politicians who actively supported the "personal union", Grand Duke Constantine had no intention of respecting the Polish constitution, one of the most progressive in Europe at that time. He abolished Polish social and patriotic organizations, the liberal opposition of the Kaliszanie faction, and replaced Poles with Russians in important administrative positions. Although married to a Pole (Joanna Grudzińska), he was commonly considered as an enemy of the Polish nation. Also, his command over the Polish Army led to serious conflicts within the officer corps. These frictions led to various conspiracies throughout the country, most notably within the army. The armed struggle began when a group of conspirators led by a young cadet from the Warsaw officers' school, Piotr Wysocki, took arms from their garrison on 29 November 1830 and attacked the Belweder Palace, the main seat of the Grand Duke. The final spark that ignited Warsaw was a Russian plan to use the Polish Army to suppress France's July Revolution and the Belgian Revolution, in clear violation of the Polish constitution. The rebels managed to enter the Belweder, but Grand Duke Constantine had escaped in women's clothing. The rebels then turned to the main city arsenal, capturing it after a brief struggle. The following day, armed Polish civilians forced the Russian troops to withdraw north of Warsaw. This incident is sometimes called the Warsaw Uprising or the November Night. (Polish: Noc listopadowa). Taken by surprise by the rapid unfolding of events during the night of 29 November, the local Polish government (Administrative Council) assembled immediately to take control and to decide on a course of action. Unpopular ministers were removed and men like Prince Adam Jerzy Czartoryski, the historian Julian Ursyn Niemcewicz and General Józef Chłopicki took their places. Loyalists led by Prince Czartoryski initially tried to negotiate with Grand Duke Constantine and to settle matters peacefully. However, when Czartoryski told the Council that Constantine was ready to forgive the offenders and that the matter would be amicably settled, Maurycy Mochnacki and other radicals angrily objected and demanded a national uprising. Fearing an immediate break with Russia, the Government agreed to let Constantine depart with his troops. Mochnacki didn't trust the newly constituted ministry and set out to replace it with the Patriotic Club, organized by him. At a large public demonstration on 3 December in Warsaw, he denounced the negotiations between the Government and Grand Duke Constantine, who was encamped outside the city. Mochnacki advocated a military campaign in Lithuania so as to spare the country the devastation of war and preserve the local food supply. The meeting adopted a number of demands to be communicated to the Administrative Council, including the establishment of a revolutionary government and an immediate attack upon the forces of Constantine. The Polish army, with all but two of its generals, Wincenty Krasiński and Zygmunt Kurnatowski, now joined the uprising. The remaining four ministers of the pre-revolutionary cabinet left the Administrative Council, and their places were taken by Mochnacki and three of his associates from the Patriotic Club, including Joachim Lelewel. The new body was known as the Provisional Government. To legalize its actions the Provisional Government ordered the convocation of the Sejm and on 5 December 1830 proclaimed Chłopicki as Dictator of the Uprising. Chłopicki considered the uprising an act of madness, but bowed to pressure and consented to take command temporarily, in the hope that it would be unnecessary to take the field. An able and highly decorated soldier, he had retired from the army because of the chicanery of Constantine. He overestimated the power of Russia and underestimated the strength and fervor of the Polish revolutionary movement. By temperament and conviction he was opposed to a war with Russia, not believing in a successful outcome. He accepted the dictatorship essentially in order to maintain internal peace and to save the Constitution. 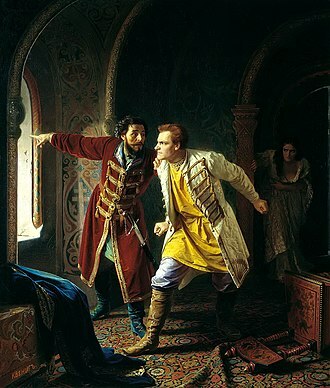 Believing that Tsar Nicholas was unaware of his brother's actions and that the uprising could be ended if the Russian authorities accepted the Constitution, Chłopicki's first move was to send Prince Franciszek Ksawery Drucki-Lubecki to Saint Petersburg to negotiate. Chłopicki refrained from strengthening the Polish army and refused to initiate armed hostilities by expelling Russian forces from Lithuania. However, the radicals in Warsaw pressed for war and the complete liberation of Poland. On 13 December, the Sejm pronounced the National Uprising against Russia, and on 7 January 1831 Prince Drucki-Lubecki returned from Russia with no concessions. The Tsar demanded the complete and unconditional surrender of Poland and announced that the Poles should surrender to the grace of their Emperor. His plans foiled, Chłopicki resigned the following day. Power in Poland was now in the hands of the radicals united in the Towarzystwo Patriotyczne (Patriotic Society) directed by Joachim Lelewel. On 25 January 1831, the Sejm passed the Act of Dethronization of Nicholas I, which ended the Polish-Russian personal union and was equivalent to a declaration of war on Russia. The proclamation declared that "the Polish nation is an independent people and has a right to offer the Polish crown to him whom it may consider worthy, from whom it might with certainty expect faith to his oath and wholehearted respect to the sworn guarantees of civic freedom." On 29 January, the National Government of Adam Jerzy Czartoryski was established, and Michał Gedeon Radziwiłł was chosen as successor to Chłopicki. Chłopicki was persuaded to accept active command of the army. It was too late to move the theatre of hostilities to Lithuania. On 4 February, a 115,000 strong Russian army under Field Marshal Hans Karl von Diebitsch crossed the Polish borders. The first major battle took place on 14 February 1831, close to the village of Stoczek near Łuków. In the Battle of Stoczek, Polish cavalry under Brigadier Józef Dwernicki defeated the Russian division of Teodor Geismar. However, the victory had mostly psychological value and could not stop the Russian advance towards Warsaw. The subsequent battles of Dobre, Wawer and Białołęka were inconclusive. The Polish forces then assembled on the right bank of the Vistula to defend the capital. 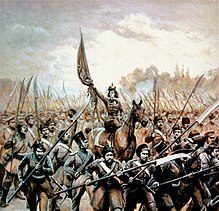 On 25 February, a Polish contingent of approximately 40,000 met a Russian force of 60,000 east of Warsaw, in the Battle of Olszynka Grochowska. Both armies withdrew after almost two days of heavy fighting and with considerable losses on both sides. Over 7,000 Poles fell on that field, and the number of killed in the Russian army was slightly larger. Diebitsch was forced to retreat to Siedlce and Warsaw was saved. Chłopicki, whose soldierly qualities reasserted themselves by military activity, was wounded in action and his place taken by General Jan Skrzynecki who, like his predecessor, had won distinction under Napoleon for personal courage. Disliked by Grand Duke Constantine, he had retired from service. He shared with Chłopicki the conviction that war with Russia was futile, but with the opening of hostilities took command of a corps and fought creditably at Grochov. When the weak and indecisive Michał Radziwiłł surrendered the dictatorship, Skrzynecki was chosen to succeed him. He endeavored to end the war by negotiations with the Russian field commanders and hoped for benign foreign intervention. Sympathetic echoes of the Polish aspirations reverberated throughout Europe. Enthusiastic meetings had been held in Paris under Lafayette's chairmanship, and money for the Polish cause was collected in the United States. The governments of France and Britain, however, did not share the feelings of some of their people. King Louis-Philippe of France thought mainly of securing for himself recognition on the part of all European governments, and Lord Palmerston was intent on maintaining friendly relations with Russia. England regarded with alarm the reawakening of the French national spirit and did not wish to weaken Russia, "as Europe might soon again require her services in the cause of order, and to prevent Poland, whom it regarded as a national ally of France, from becoming a French province of the Vistula." Austria and Prussia adopted a position of benevolent neutrality towards Russia. They closed the Polish frontiers and prevented the transportation of munitions of war or supplies of any kind. 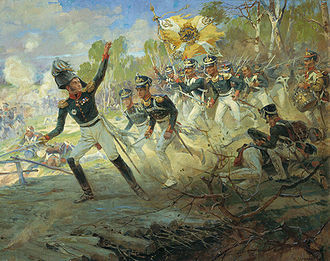 Emilia Plater skirmishing at Šiauliai (Polish: Szawle). Painting by Wojciech Kossak, 1904. Relics of the uprising of 1831, exhibited in the National Museum of Lithuania in Vilnius. Under these circumstances the war with Russia began to take on a somber and disquieting aspect. The Poles fought desperately and attempts were made to rouse Volhynia, Podolia, Samogitia and Lithuania. With the exception of the Lithuanian uprising, in which the youthful Countess Emilia Plater and several other women distinguished themselves, the guerilla warfare carried on in the frontier provinces was of minor importance and served only to give Russia an opportunity to crush local risings. Notorious was the slaughter of the inhabitants of the small town of Ashmiany in Belarus. Meanwhile, new Russian forces under Grand Duke Michael Pavlovich of Russia arrived in Poland but met with many defeats. 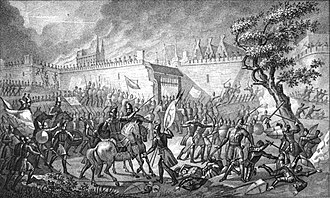 Constant warfare, however, and bloody battles such as that at Ostroleka in which 8,000 Poles lost their lives, considerably depleted the Polish forces. Mistakes on the part of the commanders, constant changes and numerous resignations, and the inactivity of the commanders, who continued to hope for foreign intervention, added to the feeling of despair. The more radical elements severely criticized the government not only for its inactivity, but also for its lack of land reform and its failure to recognize the peasants’ rights to the soil they tilled, but the Sejm, fearing that the governments of Europe might regard the war with Russia as social revolution, procrastinated and haggled over concessions. The initial enthusiasm of the peasantry waned, and the ineptitude of the government became more apparent. In the meantime, the Russian forces, commanded after the death of Diebitsch by General Paskevich, were moving to encircle Warsaw. Skrzynecki failed to prevent the Russian forces from joining, and the Sejm responded to popular clamor for his deposition by appointing General Dembinski to temporary command. The atmosphere was highly charged. Severe rioting took place and the government became completely disorganized. Count Jan Krukowiecki was made President of the Ruling Council. He had little faith in the success of the military campaign, but believed that when passions had subsided he could end the war on, what seemed to him, advantageous terms. Despite desperate defense by General Józef Sowiński, Warsaw's suburb of Wola fell to Paskevich's forces on 6 September. The next day saw the second line of the capital's defensive works attacked by the Russians. During the night of 7 September Krukowiecki capitulated, although the city still held out. He was immediately deposed by the Polish government and replaced by Bonawentura Niemojowski. The army and the government withdrew to the Modlin fortress, on the Vistula, subsequently renamed Novo-Georgievsk by the Russians, and then to Płock. New plans had been adopted when the news arrived that the Polish crack corps under Ramorino, unable to join the main army, had laid down its arms after crossing the Austrian frontier into Galicia. It became evident that the war could be carried on no longer. On 5 October 1831, the remainder of the Polish army of over 20,000 men crossed the Prussian frontier and laid down their arms at Brodnica in preference to submission to Russia. Only one man, a colonel by the name of Stryjenski, gained the peculiar distinction of giving himself up to Russia. Following the example of Dąbrowski of a generation before, General Bem endeavored to reorganize the Polish soldiers in Prussia and Galicia into Legions and lead them to France, but the Prussian government frustrated his plans. The immigrants left Prussia in bands of between fifty and a hundred, and their journey through the various German principalities was greeted with enthusiasm by the local populations. Even German sovereigns such as the King of Saxony, the Princess of Weimar and the Duke of Gotha shared in the general demonstration of sympathy. It was only upon the very insistent demands of Russia that the Polish committees all over Germany had to be closed. Adam Czartoryski remarked that the war with Russia, precipitated by the rising of young patriots in November 1830, came either too early or too late. Puzyrewski argued, that the rising should have been initiated in 1828 when Russia was experiencing reverses in Turkey and was least able to spare substantial forces for war with Poland (Lewinski-Corwin, 1917). Military critics, among them Russian pundit, General Puzyrevsky, maintained that in spite of the inequality of resources of the two countries, Poland had had every chance of holding her own against Russia, had the campaign been managed skillfully. Russia sent over 180,000 well trained men against Poland's 70,000; 30% of whom were fresh recruits who entered the service at the opening of hostilities. "In view of this, one would think that not only was the result of the struggle undoubted, but its course should have been a triumphant march for the infinitely stronger party. Instead, the war lasted eight months, with often doubtful success. At times the balance seemed to tip decidedly to the side of the weaker adversary who dealt not only blows, but even ventured daring offensives." It had long been argued (wrote Edward Lewinski-Corwin in 1917) that "anarchy and a lack of concord" among people were the causes of Poland's national downfall. Thus, when the rising finally began, the insurgents demanded absolute power for their leaders and tolerated no criticism, afraid that discord would again prove ruinous for all. However, the men chosen to lead – because of their past achievements – proved unable to perform the great task expected of them. Moreover, many apparently had little faith that their joint effort could succeed. Militarily, Poland might have succeeded if the line of battle had been established in Lithuania (wrote Lewinski-Corwin) and if the Russian forces arriving in Poland progressively, had been dealt with separately and decisively, one-unit-after-another. After the end of the November Uprising, Polish women wore black ribands and jewellery as a symbol of mourning for their lost homeland. Such images can be seen in the first scenes of the movie Pan Tadeusz, filmed by Andrzej Wajda in 1999, based on the Polish national epic. A 1937 German film Ride to Freedom was partly shot on location in Poland. The Scottish poet Thomas Campbell, who had championed the cause of the Poles in The Pleasures of Hope, was affected by the news of the capture of Warsaw by the Russians in 1831 as if it had been the deepest of personal calamities. "Poland preys on my heart night and day", he wrote in one of his letters, and his sympathy found a practical expression in the foundation in London of the Association of the Friends of Poland. The November Uprising was also supported in the United States. Edgar Allan Poe was sympathetic to the Polish cause and volunteered to fight the Russians during the November Uprising (Bobr-Tylingo 1982, 145). When the first report of the calamities, which so seriously devastated your flourishing kingdom reached our ears, We learned simultaneously that they had been caused by some fabricators of deceit and lies. Under the pretext of religion, and revolting against the legitimate authority of the princes, they filled their fatherland, which they loosed from due obedience to authority, with mourning. We shed abundant tears at the feet of God, grieving over the harsh evil with which some of our flock was afflicted. Afterward We humbly prayed that God would enable your provinces, agitated by so many and so serious dissensions, to be restored to peace and to the rule of legitimate authority. Wikimedia Commons has media related to November Uprising. ^ a b c Edward H. Lewinski-Corwin, PhD (1917). "The War with Russia and the Aftermath (Chapter XVIII, p.427)" (full text, 630 pages, stored by www.archive.org). The Political History of Poland. New York, Polish Book Importing Co. Internet Archive www.archive.org. Retrieved 29 January 2013. ^ "Encyclical of Pope Gregory XVI on Civil Obedience on 9 June 1832." EWTN, 1998. Andrzej Garlicki (2003). Historia 1815–1939; Polska i świat (in Polish). Warsaw, Scholar. p. 444. ISBN 83-7383-041-3. "Modern Synchronology". Synchronology of the Principal Events in Sacred And Profane History. Kessinger Publishing Company. p. 324. ISBN 1-4179-5419-1. Army of the Congress Poland refers to the military forces of the Kingdom of Poland that existed in the period 1815–1831. The army was formed even before the Congress Poland, in 1814 and its creation was confirmed by the Constitution of the Congress Kingdom. It took part in the November Uprising against the Russians, the uprising begun when a group of young officers tried, unsuccessfully, to assassinate Grand Duke Constantine. The defeat of the uprising in 1831 marked the end of the existence of a regular Polish army for almost a century and it was abolished with the new constitution of 1832, the Organic Statute of the Kingdom of Poland, which incorporated the army into the Russian Army. It was reorganized into a Russian army model, with infantry and cavalry divisions, artillery brigades and batteries, a regiment of grenadiers and cavalry rifleman were formed. Obligatory military service was set at 10 years, with the option of buying ones time out, the Army was well trained, with a new cadet school in Kalisz, a number of podchorąży training schools, and a higher military school in Warsaw. Ivan Fyodorovich Paskevich was an imperial Russian military leader. For his victories, he was made Count of Yerevan in 1828 and he attained the rank of field marshal in the Russian army, and in the Prussian and Austrian armies. From 1807 to 1812, Ivan Paskevich was engaged in the campaigns against Turkey, and distinguished himself by many brilliant and daring exploits, being made a general officer in his thirtieth year. During the war with France in 1812–1814 he was present, in command of the 26th division of infantry, at all the most important engagements, in reward of his services he was created Count of Yerevan and received a million rubles and a diamond-mounted sword. The Russo-Turkish War, 1828–1829 immediately followed and he led the eastern or Caucasus front. For this he was made a Field Marshal at the age of forty-seven, in 1830, he was engaged in the Caucasian War on the territory of present-day Dagestan. At the same time he appointed the high-ranking Muslim cleric Mir-Fatah-Agha from Iran as head of the recently established Caucasus Committee. Paskevich hoped that by the help of Mir-Fattahs high stature in the Muslim community, together with Mir-Fatahs high esteem among Muslims and his devised plans for the Caucasus, they managed to keep the entire Caucasus stable from rebellious Muslim insurrections for many years to come. In June 1831, after the death of Field Marshal von Diebitsch, commander of Russian troops in Congress Poland and he was created Prince of Warsaw and awarded the office of Namestnik of the Kingdom of Poland. On the outbreak of the Hungarian Revolution of 1848 he was appointed to command the Russian troops sent to aid Austria, and finally compelled the Hungarians surrender at Világos. In 1854 Paskevich took command of the Army of the Danube, though he laid siege to Silistria, Paskevich advocated aborting the campaign due to Austrias threat to intervene in the war. On 9 June he suffered an injury and was compelled to return to Russia. Paskevich died in Warsaw, where in 1870 a memorial was erected to him before the Koniecpolski Palace and his remains were reburied by his son in the family mausoleum on the grounds of the Homel Palace. 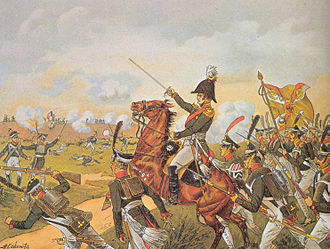 The battle of Olszynka Grochowska was the largest battle of the November Uprising and biggest in Europe since the battle of Waterloo. 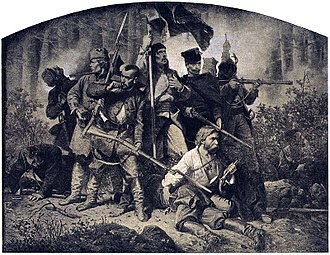 It was fought between the armies of Poland and Russia on 25 February in the woods near Grochów, at the outskirts of Warsaw. The first months after the outbreak of the November Uprising saw no hostilities between Poland and Russia, both the Polish commander Józef Chłopicki and Russian Tsar Nicholas I were hoping for a peaceful solution to the conflict. However, neither side could propose a compromise, and on 25 January 1831 Nicholas was deposed from the Polish throne. This was seen as a de facto declaration of war and the Russian Army under Hans Karl von Diebitsch was ordered to enter Poland, the Russian army entered Poland on 4 February and started a fast advance towards Warsaw. 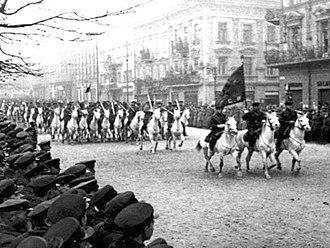 On 24 February the Russian Army reached the outskirts of Warsaw in two columns, initially Diebitsch was planning an all-out assault on Warsaw on 26 February. The Polish forces deployed to the east of Warsaw constituted the majority of the Polish Army, the majority of the Polish forces was composed of fresh, poorly trained and ill-equipped volunteers. However, the core of the Polish Army was composed of Napoleonic Wars veterans, the Russian forces had some 59000 men under arms and 178 cannon. In addition, at 15,00 the weakened corps of General Shakhovskiy arrived at the battlefield, the forces of Field Marshal Diebitsch were organised into five Infantry Corps, with some cavalry units attached to them. However, the part of the Russian cavalry was defeated in the Battle of Stoczek. The Polish counter-attack in the area of Białołęka on 24 February surprised the Russians, the Russians started a retreat and the Poles started a pursuit, but the Polish advance was halted after an hour. The sound of the battle made Field Marshal Dybich change his plans. At noon the I Corps and the Corps of General Grigoriy Vladimirovich Rosen were ordered to assault the Polish 2nd and 3rd Infantry Divisions in the woods east of Grochów. 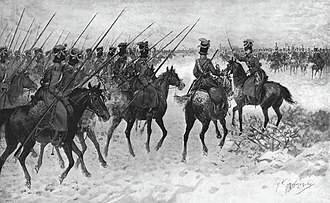 At the same time the Corps of General Pahlen was ordered to outflank the Poles from the south, despite numerous assaults, both the woods and the Grochów-Gocławek road were still in Polish hands at dusk. The Battle of Warsaw was fought in September 1831 between Imperial Russia and Poland. After a two-day assault on the western fortifications, the Polish defences collapsed. It was the largest battle and the episode of the Polish–Russian War of 1830–31. After almost a year of fighting, a large Russian force crossed the Vistula. When a less conciliatory faction gained power in Warsaw and the Russian offer of surrender was refused, the assault started on 6 September 1831. Russian forces surprised the Poles by attacking the strongest Polish position in the suburb of Wola, despite staunch defence of some of the ramparts, especially Fort 54 and Fort 56, after the first day the outer line of Polish defences had been breached by Russian infantry and artillery. The following day fights resumed, but this time Russian artillery was close enough to shell the western boroughs of the city itself, although losses were similar on both sides, Polish authorities decided not to risk another Massacre of Praga and ordered the evacuation of the city. On 8 September 1831 Warsaw lay in Russian hands, and the remainder of the Polish Army retreated to Modlin, the November Uprising ended soon afterwards, with the remnants of the Polish Army crossing the borders of Prussia and Austria, to avoid being captured by the Russians. In the 19th century the fight for Warsaw became one of the icons of Polish culture, described by, among others, Polish romantic poets Adam Mickiewicz and it was the main inspiration behind Chopins Revolutionary Étude, initially called the Étude on the Bombardment of Warsaw. The fall of Warsaw garnered sympathy for the Poles and their quest for independence, Russia could not send its armies to Belgium or France before the rebellion in Poland was quelled. For that reason the capture of Warsaw was Russias main target in the war from the start of hostilities, in the course of the uprising, the army of Russia unsuccessfully tried to capture the capital of Poland on two occasions. First in February 1831, forces under Field Marshal Hans Karl von Diebitsch stormed the eastern suburb of Praga, after a bloody battle at Grochów, the Polish Army successfully retreated to Warsaw, and the capital remained in Polish hands. Thus effectively it was little more than a puppet state of the Russian Empire. The autonomy was curtailed following uprisings in 1830–31 and 1863, as the country became governed by namestniks. Thus from the start, Polish autonomy remained little more than fiction, the territory of the Kingdom of Poland roughly corresponds to the Kalisz Region and the Lublin, Łódź, Masovian and Holy Cross Voivodeships of Poland. Although the official name of the state was the Kingdom of Poland, in order to distinguish it from other Kingdoms of Poland, it was sometimes referred to as Congress Poland. The Kingdom of Poland was created out of the Duchy of Warsaw, the creation of the Kingdom created a partition of Polish lands in which the state was divided among Russia and Prussia. The Congress was important enough in the creation of the state to cause the new country to be named for it, the Kingdom lost its status as a sovereign state in 1831 and the administrative divisions were reorganized. 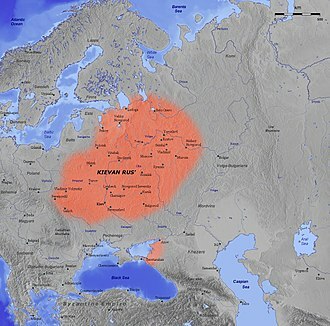 It was sufficiently distinct that its name remained in official Russian use, the Kingdom had an area of roughly 128,500 km2 and a population of approximately 3.3 million. 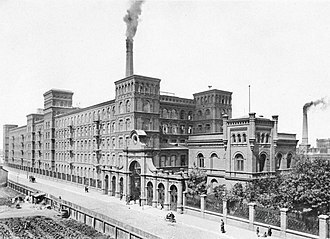 Its population reached 6.1 million by 1870 and 10 million by 1900, most of the ethnic Poles in the Russian Empire lived in the Congress Kingdom, although some areas outside it contained a Polish majority. The Kingdom of Poland largely re-emerged as a result of the efforts of Adam Jerzy Czartoryski, the Kingdom of Poland was one of the few contemporary constitutional monarchies in Europe, with the Emperor of Russia serving as the Polish King. His title as chief of Poland in Russian, was Tsar, similar to usage in the fully integrated states within the Empire, theoretically the Polish Kingdom in its 1815 form was a semi-autonomous state in personal union with Russia through the rule of the Russian Emperor. Poland had traditions and the Polish nobility deeply valued personal freedom. In reality, the Kings had absolute power and the title of Autocrat. 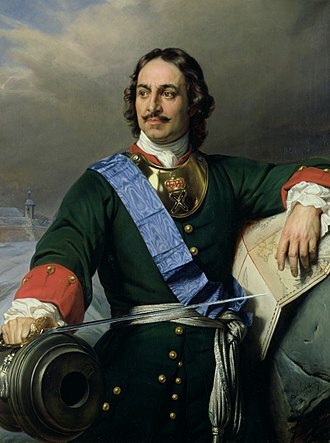 All opposition to the Emperor of Russia was suppressed and the law was disregarded at will by Russian officials, however, in time the situation changed and he granted the viceroy, Grand Duke Konstantin Pavlovich, almost dictatorial powers. It was separated from the left bank during The Ruin. Right-bank Ukraine is bordered by the regions of Volhynia and Podolia to the west and Zaporozhia to the south, Left-bank Ukraine to the east. Main cities of the region include Cherkasy, Bila Tserkva, the right and the left-bank Ukraines history is closely associated with the Khmelnytsky Rebellion of 1648–57. The territory belonged to the Polish-Lithuanian Commonwealth under the House of Vasa until the Russo-Polish War triggered by the Khmelnytskys Treaty of Pereyaslav pleaded in 1654 with the Muscovy. After the 13-year conflict, the victorious Tsardom of Russia incorporated the left-bank Ukraine along with the city of Kiev in 1667 following the Truce of Andrusovo, the right-bank Ukraine remained in the Commonwealth until the Partitions of Poland in the late 18th century. As part of the Lesser Poland Province of the Polish Crown it was divided into two voivodeships and Bracław, in 1669 Hetman Petro Doroshenko submitted to the Ottoman Empire as a vassal. Paskevich with Abbas Mirza at the signing of the Treaty of Turkmenchay, 1828. Polish General Staff wore navy blue uniforms reminiscent of Napoleonic-era attire. Soldiers of each regiment wore uniforms in colours of their land. A graduation parade of the Royal Military College, Duntroon. Facade of the main building at the Ludovika Campus of National University of Public Service. Armenian soldiers at the Vazgen Sargsyan Military University in 2013. Cadets of the National Military Academy of Afghanistan stand in formation awaiting dignitaries. The Academy was established in 2005.